Perfect Christmas gift for any outdoors man or woman! 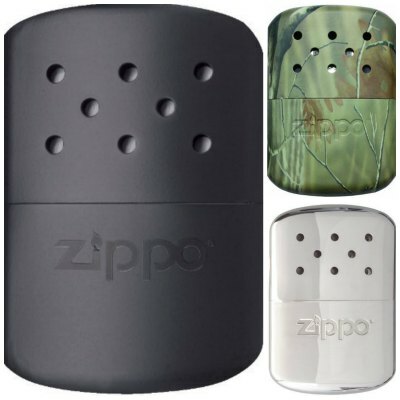 These Zippo Hand Warmer make wonderful gifts or stocking stuffers for anyone who likes to be outdoors but like to stay warm! Long history of outdoor lovers who love this warmer! I bought for hubby back in 2013 and he still uses the same Zippo Hand Warmer all the time! He has recently taken it up into the mountains to go hunting this past year. All you do is add more Zippo fuel to it and then reuse it. Every couple years or so you’ll need a cheap catalitic burner replacement. When ever your Zippo Hand Warmer starts to not stay lit. Don’t forget to get the fuel for it. My husband was asking for one of these the other day and I had never heard of them before.